Who We Are: The WQ&HC is a multidisciplinary group of independent experts sponsored by the American Chemistry Council’s Chlorine Chemistry Division. The group’s knowledge and experience span science and medicine, public health policy, consumer advocacy, environmental engineering, risk assessment and emergency response. 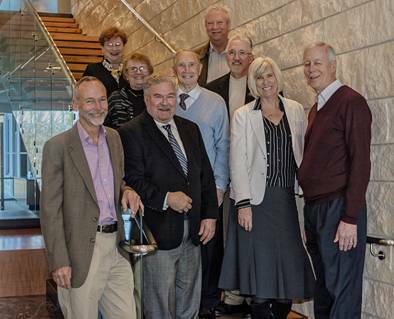 In 2016, the American Chemistry Council and the WQ&HC will celebrate the 25th anniversary of the WQ&HC’s founding. Our Mission: The WQ&HC strives to protect public health by promoting knowledge of evidence-based practices and policies that enhance water quality and health. It separates science fact from fallacy and informs industry, health professionals, policy makers, and the public on a wide range of topics. The Chlorine Connection: Chlorine chemistry is used to help control infectious diseases that can be spread through contaminated drinking water, swimming pools and surfaces. In 1991, the chlorine industry invited a small group of experts to serve as advisors on the appropriate use of chlorine for public health. The current group includes four original members, designated below by asterisks.